The Dow Jones today dropped over 100 points in pre-market trading as fear over the stability of international trade relations continued to rattle investors. The Shanghai Composite Index is off more than 20% since January, and the downturn appears to be spreading across the globe. This morning, a leaked memo from one of China's leading think tanks warned that "financial panic" could envelop the nation's economy if trade relations continue to deteriorate. The Nasdaq is sitting near an all-time high. The Dow is sliding due to concerns that the market is too frothy. Where on earth can you invest for any serious gains in this environment? We have you covered. This week, we did our digging into the numbers, and we have found three stocks that could surge 80% or more in the months ahead. Let's dig into them as the market opens… right here. A leaked report from a Chinese government think tank warned of "financial panic" across the country. In addition to concerns about the ongoing trade battle with the United States, the National Institution for Finance & Development warned about the ongoing use of leverage in the stock market. The think tank argued that China's central bank must be ready to step in and support the nation's markets (the Shanghai Composite is off 20% since January) in the event of a liquidity crisis. This morning, the U.S. Department of Commerce said that Q1 gross domestic product (GDP) growth slowed far more than analysts had expected. During January through March, we saw the weakest levels of consumer spending in roughly five years. GDP clocked in at just 2.0%, a downturn from the 2.2% reported by the agency last month. Markets appear to believe that the economy has rebounded during the second quarter thanks in part to the massive tax cuts in January. However, ongoing trade tensions and increasing uncertainty around the globe could potentially spur a panic at any time. In 2018, major telecom carriers will begin rolling out 5G networks across the country, and the development could be one of the biggest ever. This technological leap is creating some incredible profit opportunities for tech stocks. According to Swedish network equipment manufacturer Ericsson ADR (Nasdaq: ERIC), new 5G-related features could produce as much as $1.3 trillion annually in additional revenue for carriers by 2026. Just imagine how much money you could make if you get in early and invest right now in the top 5G stocks. It would be a fortune. Today, we show you the undervalued stock that is going to lead this revolution, and it could make you rich. Marijuana stock prices continue to climb. Earlier this week, voters in Oklahoma elected to legalize medicinal cannabis. The vote makes Oklahoma the 30th state to allow marijuana for medicinal purposes. Oklahoma State Question 788 will permit patients age 18 or older to obtain a medicinal marijuana license with the signature of a board-certified doctor. This is just the latest good news that is going to send marijuana stocks even higher in the weeks and months ahead. This could be your last chance to get in on these companies while they are still overlooked and undervalued by hedge funds and other institutional investors. Get in right now before marijuana goes mainstream. Read here for our full list of the best marijuana stocks to own. 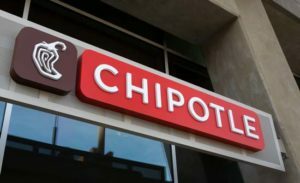 Chipotle Mexican Grill Inc. (NYSE: CMG) stock is in focus after another warning about its operational challenges. The fast-casual diner announced during an investor call that it will shutter 65 underperforming locations. However, it did say that it will launch a mobile delivery app later this summer. Walgreens Boots Alliance Inc. (NYSE: WBA) slipped 1.2% despite topping Wall Street earnings expectations on Thursday morning. The health benefits giant reported earnings per share of $1.53 on top of $34.33 billion in revenue. Both numbers topped analysts' expectations of $1.47 on top of $33.64 billion in revenue. The company also authorized a $10 billion buyback program. Nike Inc. (NYSE: NKE) leads a busy day of earnings reports. The iconic apparel company will report fiscal fourth quarter earnings after the bell Thursday. Look for additional earnings reports from Accenture Plc. (NYSE: ACN), McCormick & Co. Inc. (NYSE: MKC), KB Home (NYSE: KBH), Lindsay Corp. (NYSE: LNN), SYNNEX Corp. (NYSE: SNX), and Shaw Communications Inc. (NYSE: SJR).